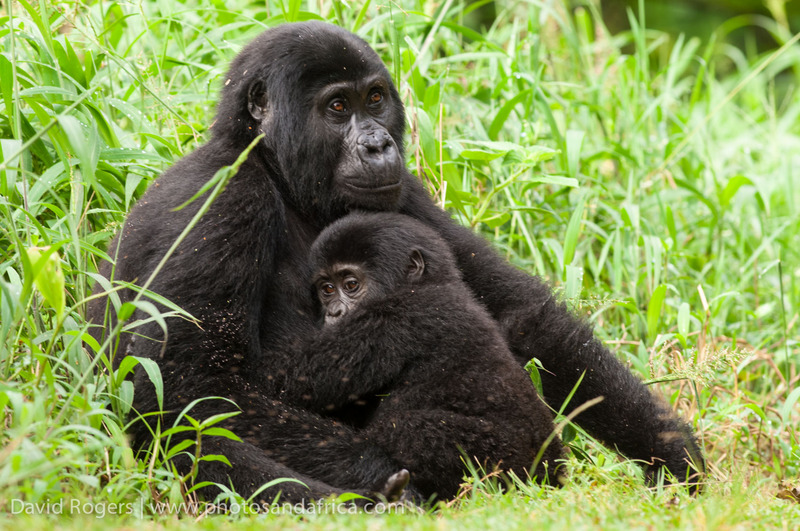 Mountain gorillas are only found on the mountains of Rwanda, Uganda and the Democratic Republic of Congo and are listed as one of the top 10 most endangered species on Earth. 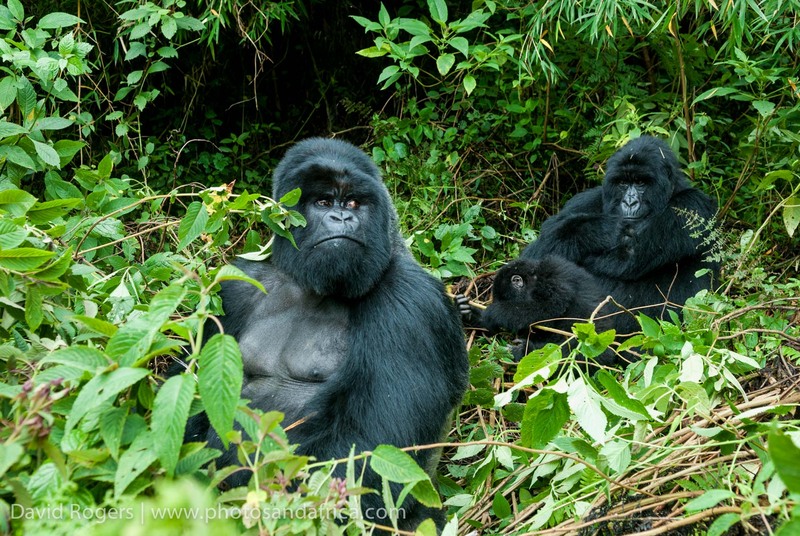 There are approximately 350 gorillas in the Volcano and Virunga Mountains of Rwanda and Congo and another separate group of approximately 300 in Uganda’s Bwindi Impenetrable Forest. 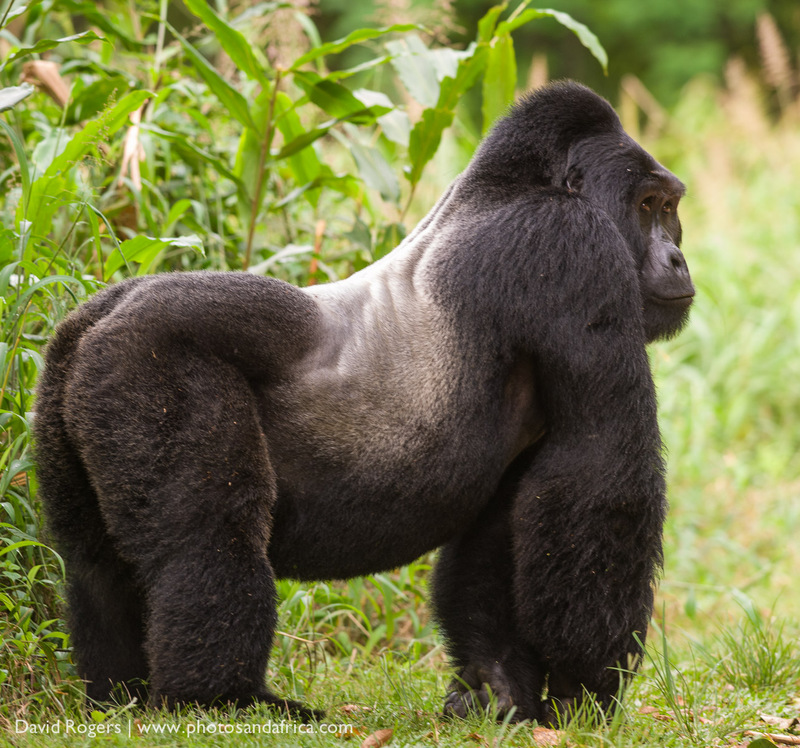 The most accessible of these gorilla populations is found in Rwanda, which is an easy 90-minute drive from the capital city of Kigali. The roads and infrastructure in Rwanda are excellent. 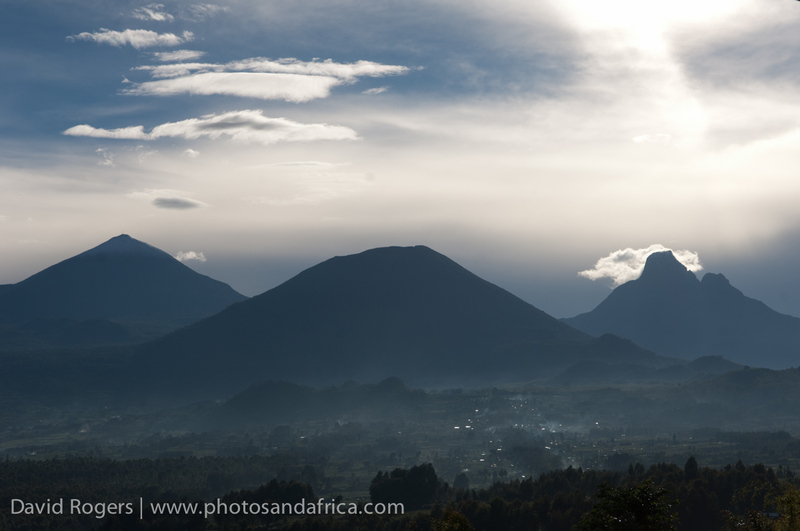 The county is spectacular with 23 lakes, six volcanoes and numerous rivers. Uganda has a large population of gorillas in the Bwindi Impenetrable Forest, but it’s a bit more of a journey to get there. From the capital city of Kampala, it’s a full day’s drive to Bwindi, and many people combine this with the excellent Murchison Falls and Queen Elizabeth National Parks. Charter flights can also be arranged. 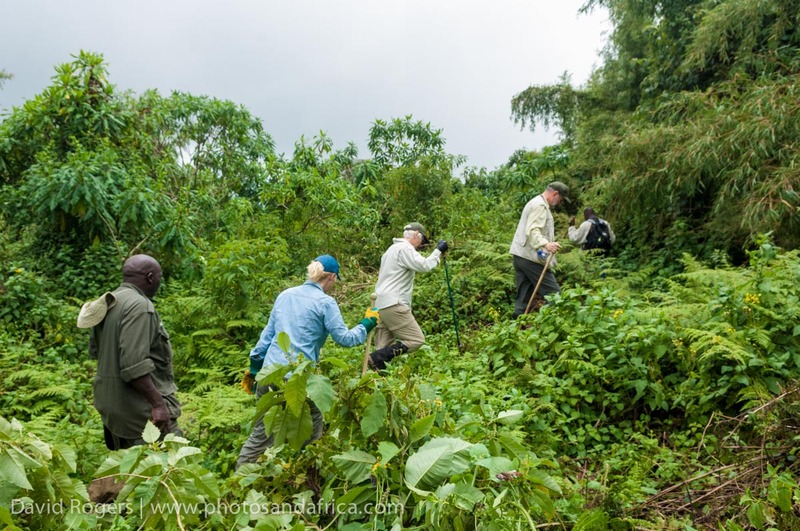 The procedure at all of the camps is that guests depart each morning and meet at the national park headquarters where they are assigned to a group of a maximum of 8 people. At 08h30 they set off with a scout and an armed guard to find the particularly family that they have been allocated (some families are easier to find than others). 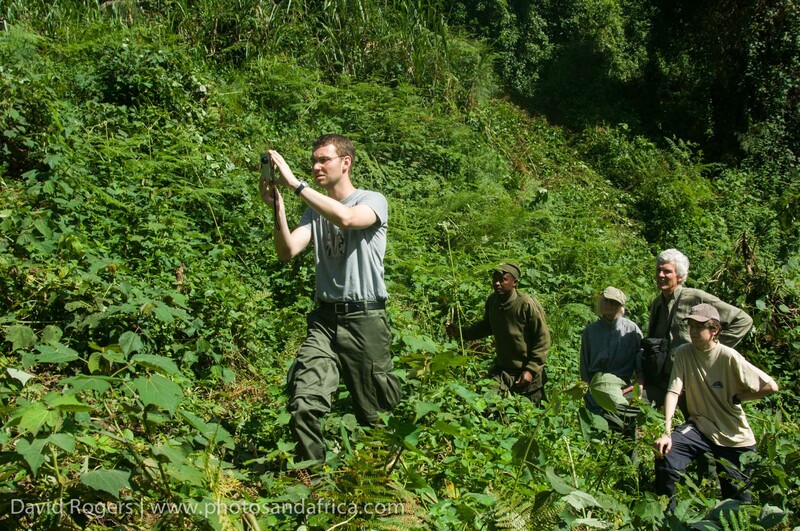 The terrain can be difficult with steep slopes, slippery conditions and thick vegetation. The guides are extremely helpful in pulling and pushing people up the slippery inclines, and in some instances, it’s possible to arrange to be transported, like the great explorers, in a sedan chair! 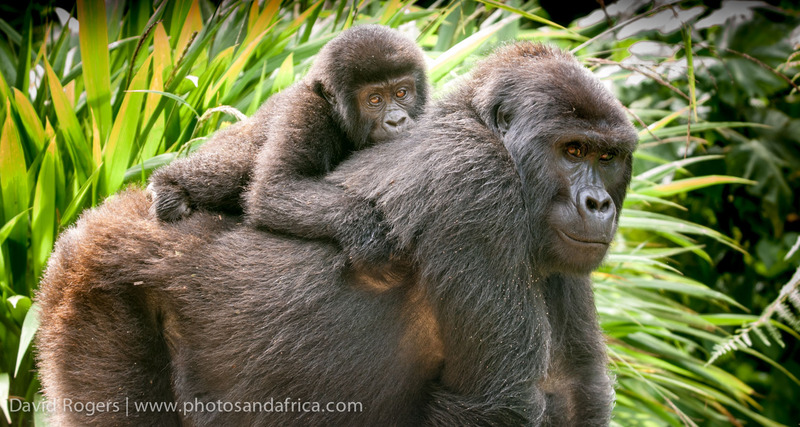 Once the troupe have been located, the group has just one hour with the gorillas–and the time goes by in a heartbeat. Even with just an hour with a mountain gorilla troupe, experiencing the “humanity” and gentility of these primates, people are likely to be touched and humbled forever. It can be a tough trek to get to the gorillas, but it’s well worth it. 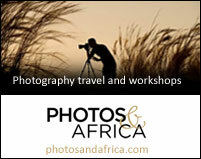 See our blog post on photographing gorillas for more information on what to take and how to get the shot. 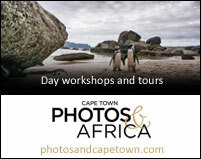 Often, you can hire a porter to help carry your photography gear up the slippery trails. 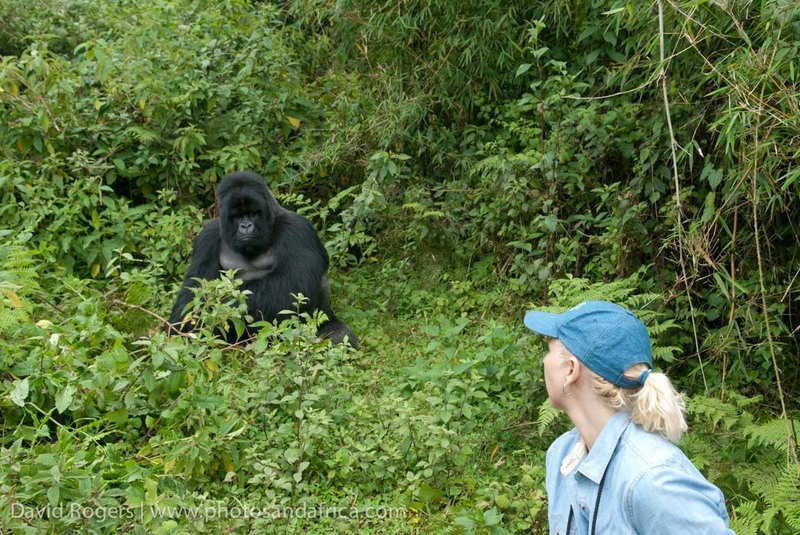 Visiting the gorillas is very expensive, and costs of the permits has been steadily increasing. 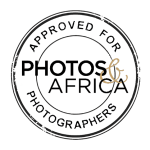 The cost of permits varies ($600 in Uganda and $470-$880 in Rwanda depending on season). While it is recommended to have at least two days of trekking, daily sightings are virtually guaranteed so one day visits are sufficient. 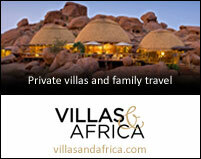 Rain can occur anytime in the Virungas, although the rainy seasons are from April to May and October to November. Rain is unlikely during the dry months of January, February, July and August.